Will the Tumblr buy get board's A-OK? Is 'cool' what's missing from Yahoo? Update: Two topics for Monday's Yahoo event are floating to the surface, though both could very well be addressed during the 5 p.m. ET press gathering. 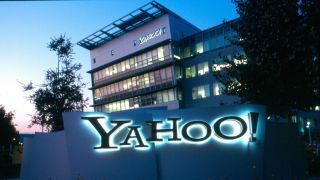 AllThingsD, originator of the Tumblr pick-up report, today reported Yahoo's board plans to meet Sunday to decide whether to approve a $1.1 billion (about UK£715 million, AU$1.103 billion) offer for the site. The agreement is reportedly in place, and if the board approves the all-cash acquisition over the weekend, the news will be announced Monday. Mayer has apparently become eagle-eyed on the microblogging platform and thinks it will not only open Yahoo up to new audiences but bring it a much needed dose of cool. On the other side, Bloomberg reported Mayer and Co. plan to unveil updates to Flickr, the photo-sharing site it owns. ATD noted Yahoo already has news to announce on Monday, so if the Tumblr deal falls through, we could be in for a photo-focused finish to the day. Yahoo is hosting a product-related press event on May 20 (that's this upcoming Monday) in New York City, with CEO Marissa Mayer holding court. CNBC first tweeted the news today: "Yahoo to hold a product-related news event in New York City on Monday; CEO Marissa Mayer to speak at event." Official press invites started trickling out following after the tweet went live, revealing it's happening at 2 p.m. PT/5 p.m. ET/10 p.m. BST. "Join us as we share something special," the purple invite read. Yahoo told us details of a live stream will be sent out Monday. What exactly will be announced at the shotgun happening is a mystery, though curiously the news comes hours after reports surfaced the company is in talks to purchase blogging site Tumblr for $1 billion (about UK£659 million, AU$1 billion). There's a particular urgency about a Tumblr purchase as GigaOm reported Yahoo fears Facebook might swoop in to steal the site at the last minute. Putting a deal out in the public eye sooner rather than later looks like good strategy to keep the the social network wolves away. Tumblr is based in New York. We won't know for sure what Yahoo has up its sleeve until Monday, but tune back in for more then.